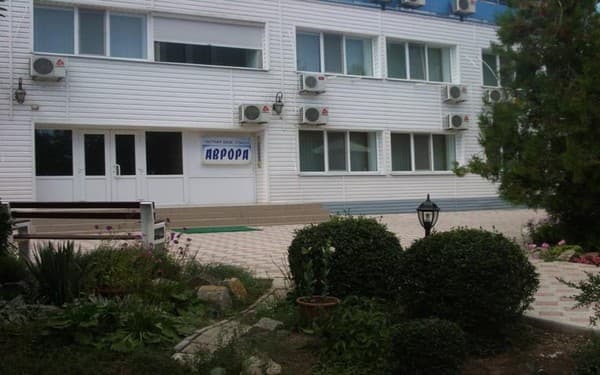 Private hotel "Aurora" is located in the city of Primorsk, 400 meters from the sea. At the service of guests 1-, 2-room rooms of various categories with the necessary amenities: air conditioning, refrigerator, TV, bathroom. 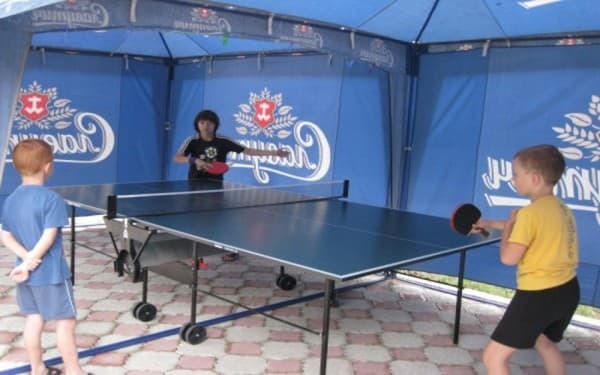 Hotel "Aurora" has a well-groomed landscaped territory, mini-library, DVD-player with vidiotekoy, table games, sporting equipment for active recreation (badminton, darts, frisbee). 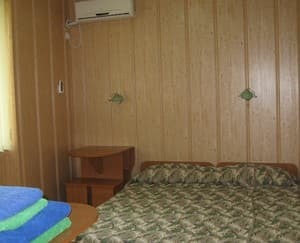 Description of the room: One-room comfortable room with a sea view. 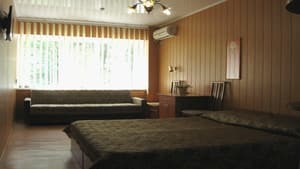 In the room there are two single beds and an extra pull-out table, soft chairs, a folding sofa. It is possible to accommodate 4 people. 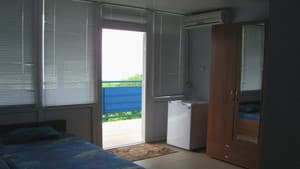 Description of the room: Comfortable room with balcony and sea view. The room has a living room in which there is a soft part with a transformation mechanism - a French folding bed, a bar, two bar stools, a coffee table, air conditioning, a TV (10 satellite channels), a refrigerator, a two-piece wardrobe. The bedroom has a double bed, bedside tables. 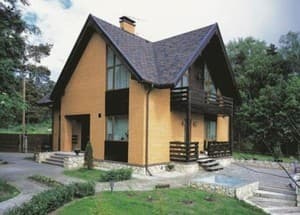 Accommodation for up to 4 people. 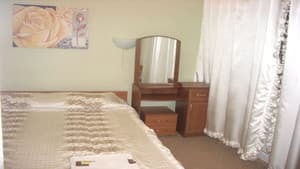 Description of the room: Room for 2 people (it is possible to accommodate 3 people), is equipped with comfortable furniture, wardrobe.It is possible an additional paid place, the price of which is 80 UAH. 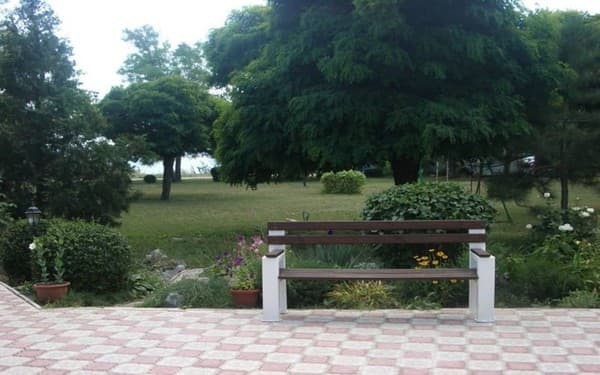 Description of the room: One room with sea view. In the room there are two single beds and an extra pull-out table, stools. It is possible to accommodate 3 people. Description of the room: Four-room comfortable room with panoramic windows. The room is newly renovated, there is a sink for dishes. It can accommodate 4 people. Children under 5 years stay free of charge (without extra bed). For children from 5 to 10 years, the cost of an extra bed is 50% off. The cost of an extra bed in a standard room and a junior suite is 70 UAH per person per night, in a deluxe room and a junior suite - 100 UAH per person / day. The hotel has a café and a buffet. It is possible to order food. Full board - 215 UAH per person. Half board (lunch + supper) - 157 UAH per person. Children under 12 years old receive a discount on food - 20%. 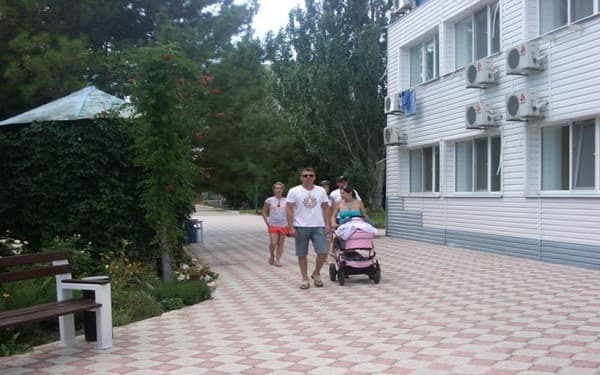 Private hotel "Aurora" is located in the city of Primorsk, 400 meters from the sea. In 800 m is the entire infrastructure of the city. The distance to the bus station of Primorsk is 5.4 km, to Berdyansk - 32 km, to the city of Zaporozhye - 176 km. By train to the city of Melitopol or Berdyansk. Transfer is possible for a fee. Further on the fixed-route minibus Melitopol-Primorsk or Berdyansk-Primorsk to Primorsk. Meeting at the bus station is free of charge.